Recently, I met with Henning Volkmer, president and CEO of software developer Cortado, to talk about the release of their pull-printing solution, ThinPrint Personal Printing 4.0, in March, followed by their mobile printing solution, ThinPrint Mobile Print, in April. ThinPrint Personal Printing enables businesses to reduce their printing costs and environmental impact while protecting sensitive information in printed documents. When a user wants to print, the job is held in a secure print queue and isn’t printed until the user authenticates at a printer and releases the job. 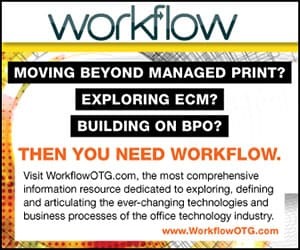 Since users are physically at the device where the job is printed, businesses don’t have the problem of forgotten or abandoned print jobs sitting forlornly in the output tray. But more importantly, it keeps businesses in compliance with strict data protection and privacy regulations — like HIPAA in the U.S., or soon, GDPR in Europe — and prevents users from accidentally disclosing or stealing private information. While pull-printing technology has existed for quite some time now, ThinPrint’s iteration offers a refreshing feature: self-registration. The feature is particularly useful for DaaS and SaaS providers who want to provide their customers with secure pull-printing since the vendor doesn’t need to be on-site to set up users and no special cards are required. Instead, users log on to the ThinPrint Release Station using any transponder and print a page with a unique code generated specifically for that user. Next, the user returns to their desktop and enters the code to complete the registration process. After that, they can print and retrieve jobs from any device on the network. While many Mobile Device Management (MDM) and Enterprise Mobility Management (EMM) platforms are great for securely managing and pushing apps to users’ devices, they don’t have much to offer when it comes to facilitating print — which can hamper productivity. ThinPrint aims to fill that hole with their latest software offering, ThinPrint Mobile Print. The solution enables businesses to integrate their employees’ iOS and Android devices into their existing print infrastructure, so they can be more productive no matter where they are. ThinPrint Mobile Print integrates with a customer’s existing MDM or EMM platform and enables workers to find and use current network-connected printers using their iOS and Android smartphones and tablets. To maximize security, administrators can configure the system to force users to authenticate at the device before they can release the job. According to Volkmer, ThinPrint Mobile Print uses Personal Printing technology to manage pull printing. Conveniently, the solution works with Microsoft Active Directory, so users automatically inherit their existing authorizations. Volkmer told me that businesses will be able to push out printer profiles to AirPrint and Android devices so they can access all the same printers that they had access to from their traditional Mac or PC workstation. “They have those same printers available in the native OS printing dialog on their mobile device,” he said. The solution also delivers an ad hoc Wi-Fi printing experience, so users can easily find and use Wi-Fi printers for quick jobs. As professionals in virtually every field become more and more reliant on mobile devices to get the job done, they’ll need a fast, easy, and secure access to print from those devices. At the same time, businesses have to navigate a minefield of strict data privacy and protection laws and prevent sensitive information from falling into the wrong hands. ThinPrint’s latest additions to their portfolio of printing solutions enable businesses to empower their mobile users to print from anywhere while helping them reduce their environmental footprint and costs associated with waste.